If you would have told me three years ago that I’d be a professional photographer, let alone a wedding photographer, I would have called you a liar. It’s funny how life can take you in some pretty unexpected directions, but I count myself lucky to be living my dream. 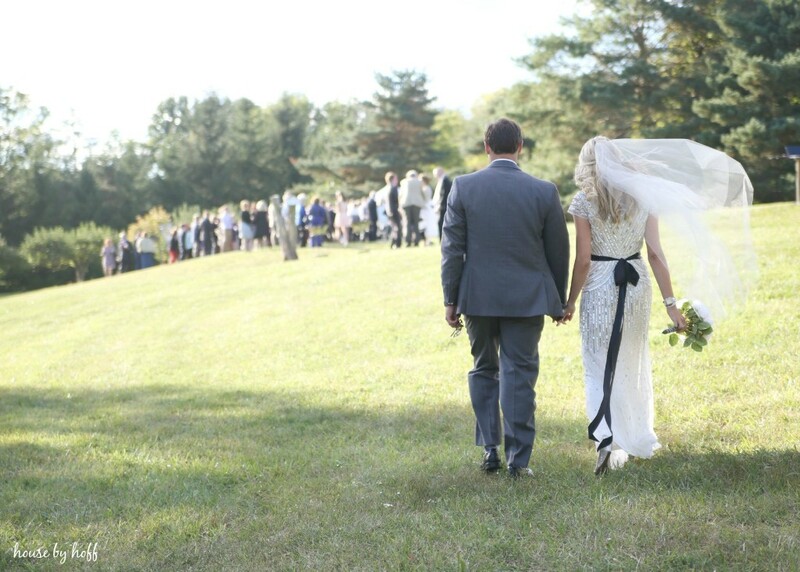 I was lucky enough to photograph the most gorgeous wedding a little over a month ago. 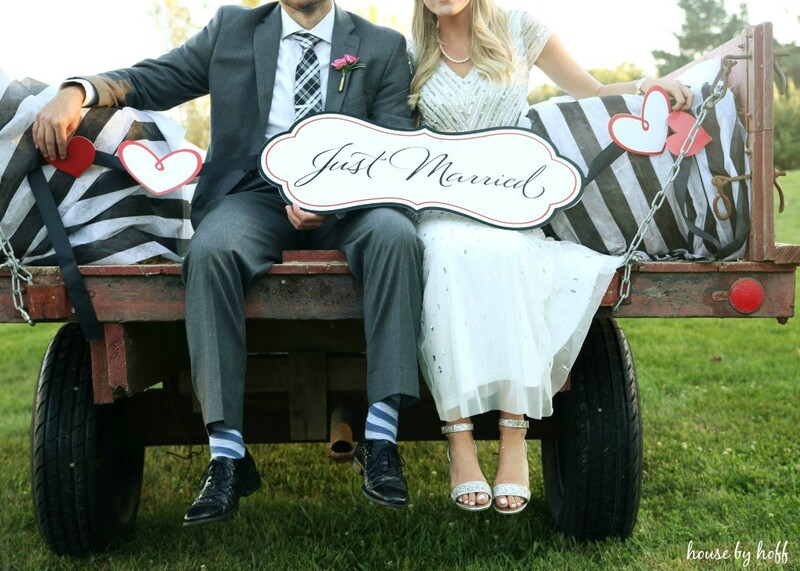 Maybe it’s the blogger in me, but I immediately wanted to give the style of this wedding a name. 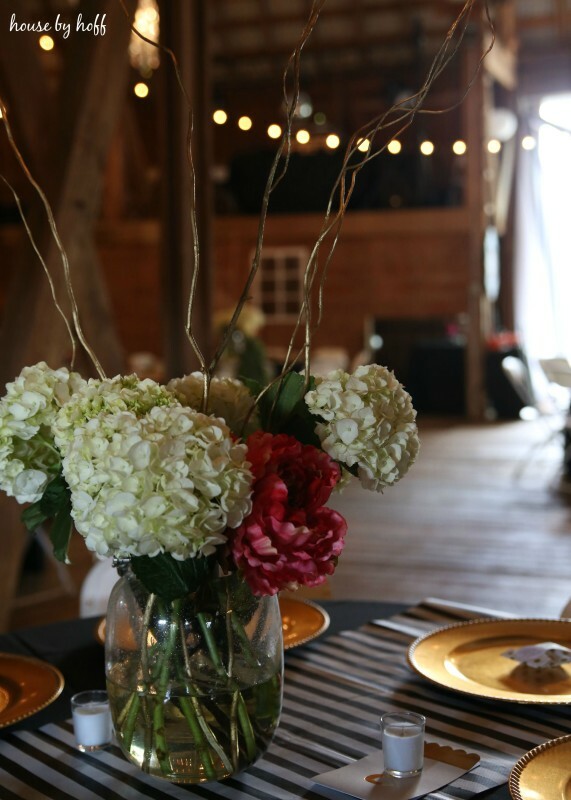 I quickly coined the phrase “Rustic-Glam” to describe the setting, style, and feel of the reception. 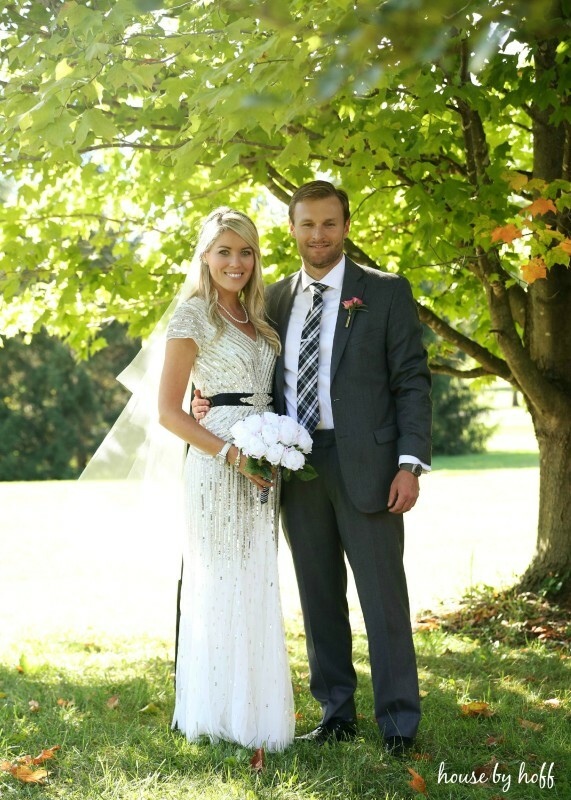 The beautiful bride has a very bold and glamorous style. She likes bold stripes, and bling-y details. 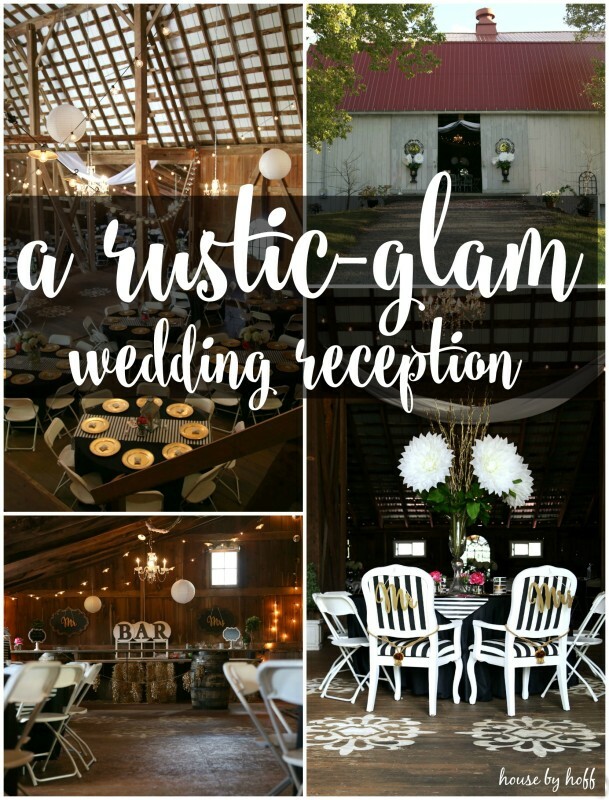 You might not think that glamour and rustic go together, but I think you’ll see that she (and her mom) managed to create a very glamorous wedding reception in their rustic barn. The results were nothing short of spectacular. From the road the barn looked very rustic, but upon closer inspection, you could already see the glamorous details peeking out. The two sliding doors had large mirrors and vases, which set the tone for the inside quite nicely. 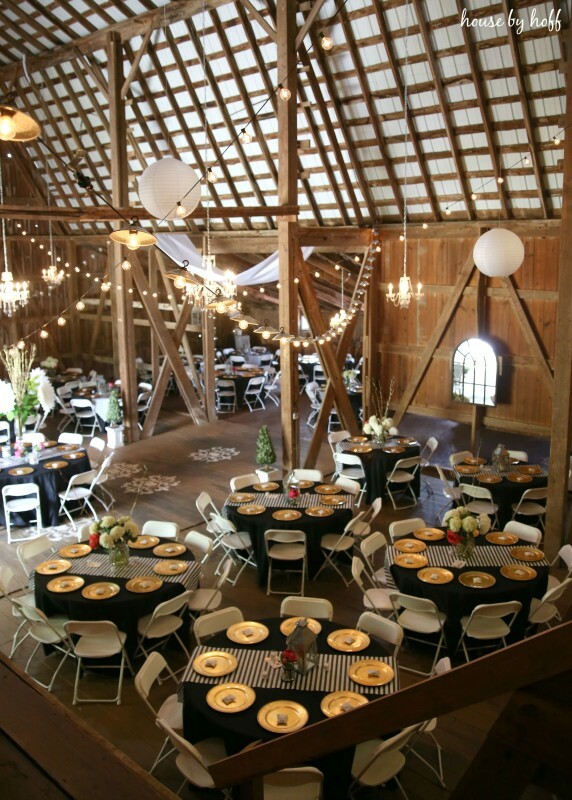 Gorgeous chandeliers were hung from the ceiling, and lights were strung everywhere. My favorite part of the entire reception were the floors. 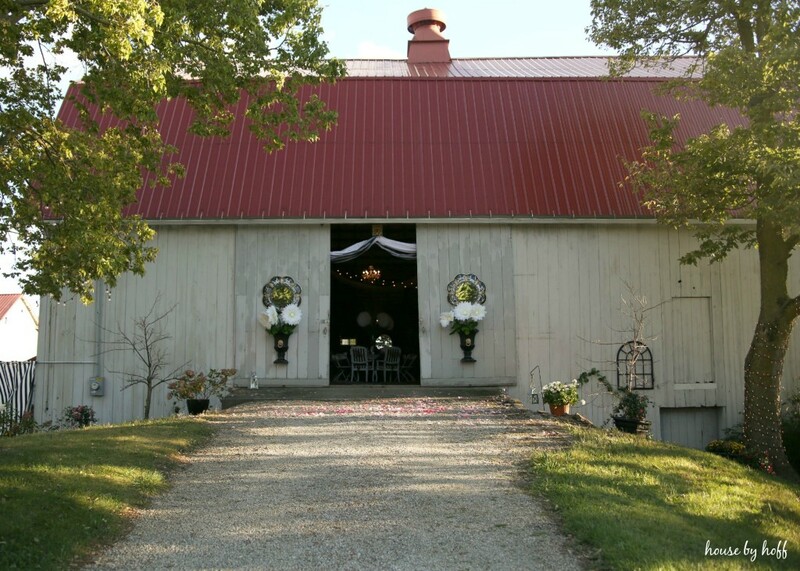 The bride’s mother cleaned, stained, and stenciled the barn floors with these huge, gorgeous damask stencils. 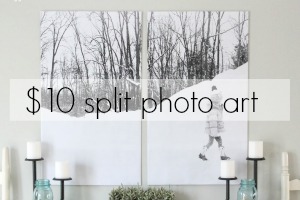 I absolutely love this idea, and what an inexpensive way to make such a bold statement, no? 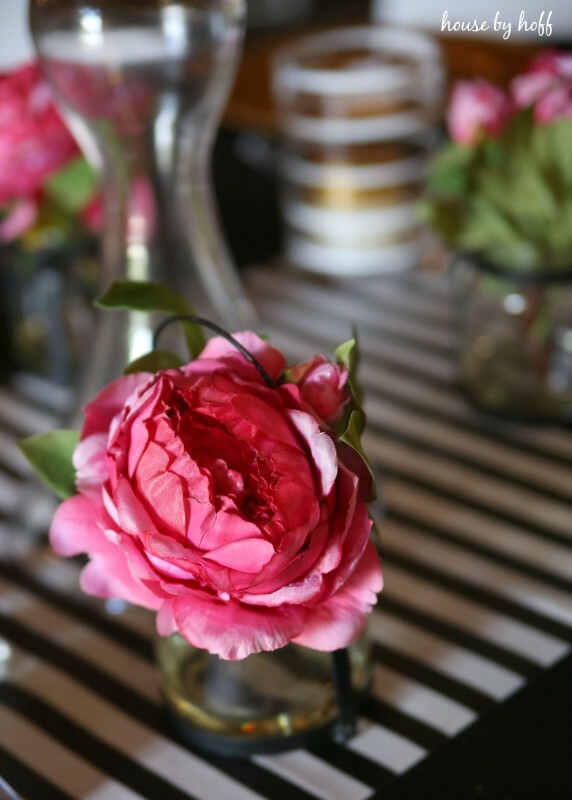 The tables were lovely too. 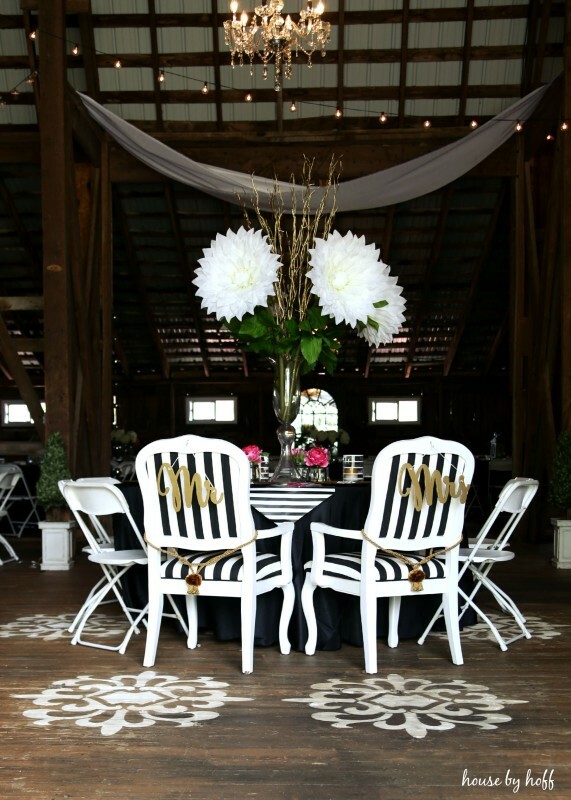 Black and white stripes were a design element that could be spotted here and there around the reception area. And the bar! The bar was a long piece of reclaimed wood on top of two barrels in the front. 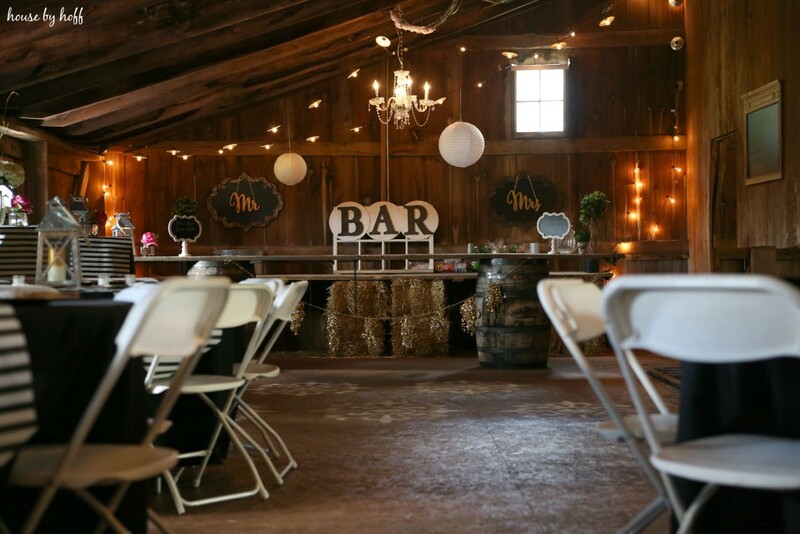 The back of the bar was constructed using hay bales and old wood. Genius! 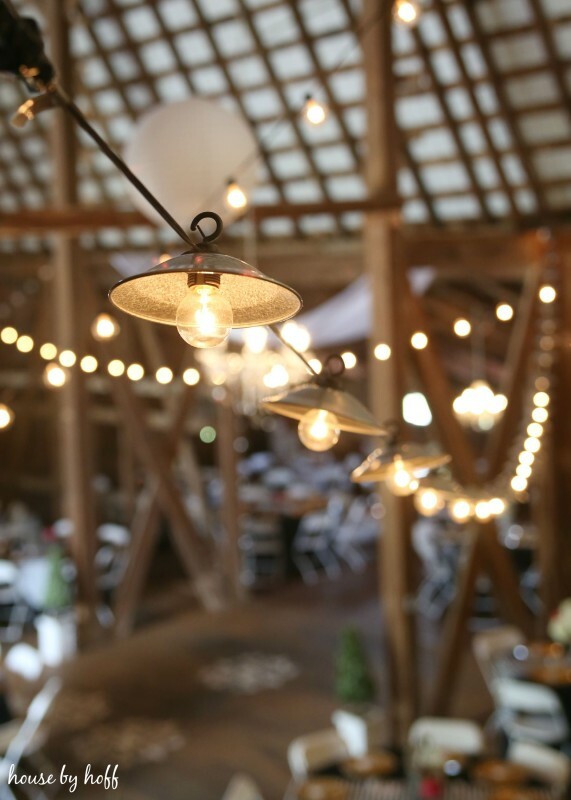 I just love all of the lights, chalkboards, and special details that made this such a special event. Here is a view from waaaay up high…. 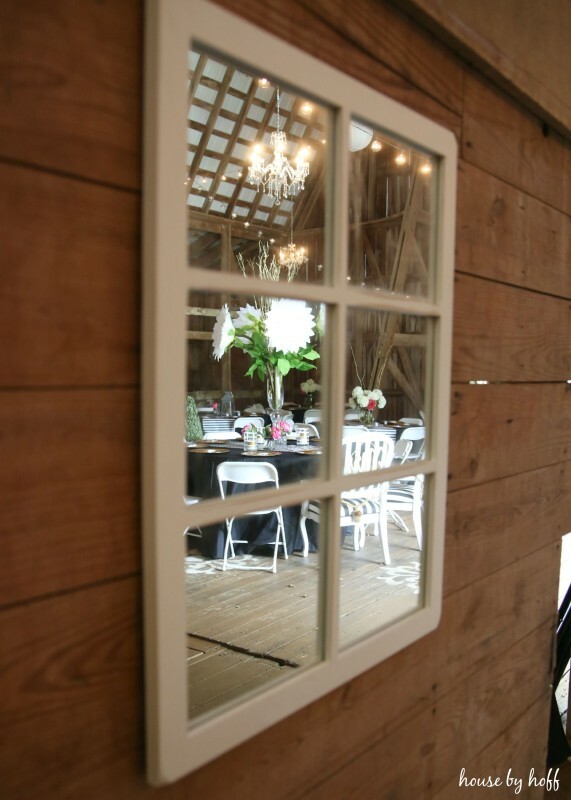 The bride and her mother also hung these window mirrors on empty walls. 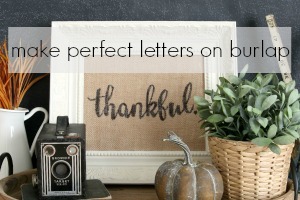 They added some great detail and reflected all of the amazing decorations…win/win! 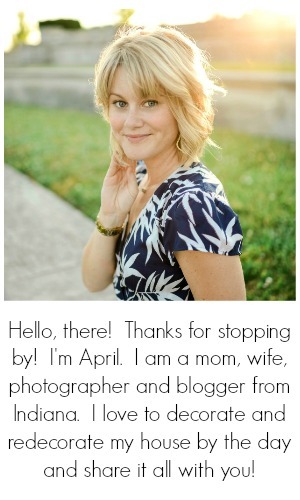 …and just when you think it can’t get better, it does. You all know I love an old door, and this one is no exception. 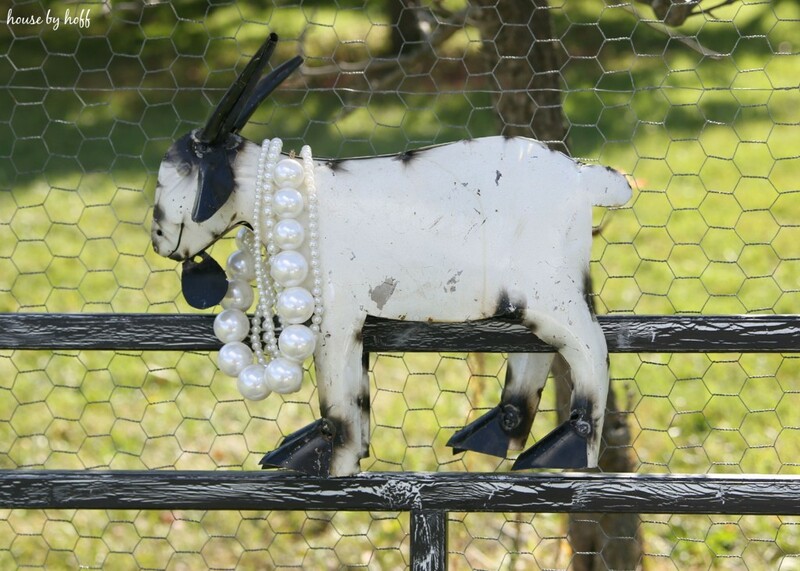 I LOVE the way they used chicken wire to hang and display everybody’s blingy table placements…and the goat. I love it! 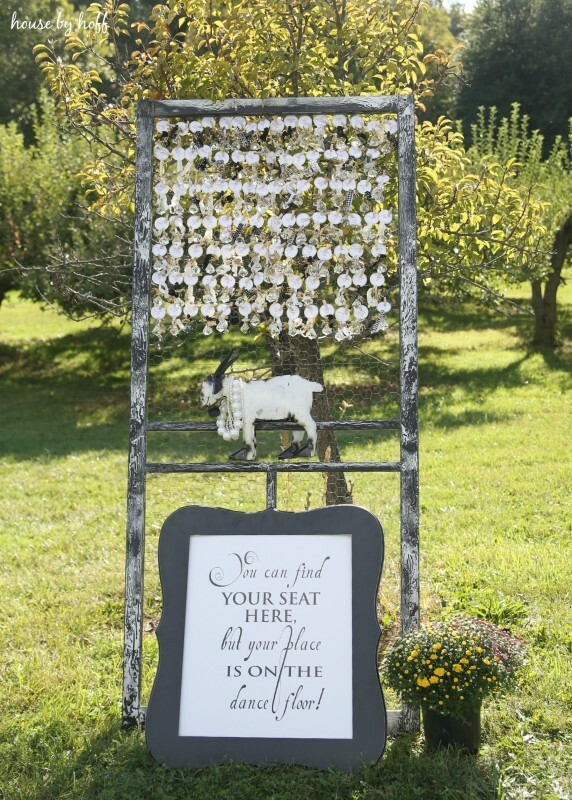 I loved every detail of this beautiful wedding! I hope you enjoyed it too!